You probably have no clue. If you racked your brain trying to remember, you probably would not be able to recall. But, if I asked you where you were on other significant days in history, chances are you’d probably not only recall where you were, but what you were doing and who you were with. I’ve lost both of my parents now. 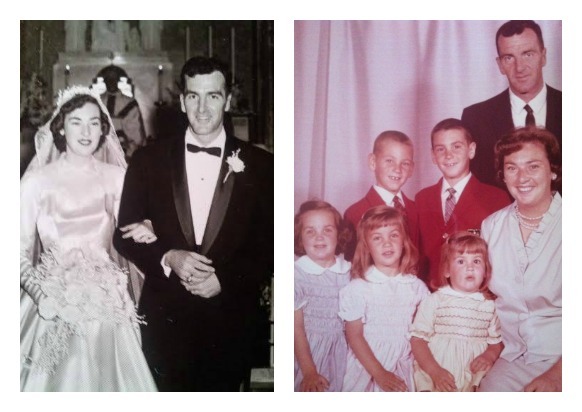 My Dad 16 years ago and my Mom more recently – just 8 months ago. February 14th – Valentines Day 2014. I did not have the privilege to be with her and tell her goodbye when her time to leave this earth arrived. But I’m confident that she knew exactly how I felt and how much I loved and respected her. I’m confident that she knew how much all of my siblings loved her. This past week as I was bombarded with ice bucket video clips on Facebook, I thought to myself…..I need to blog about this!! I want to do my part to bring awareness to this terrible disease. I thought about all the different spins I could put into the post. And then, just like that, an amazing article was brought to my attention. An article written by someone who this disease has personally touched. As I read through her thoughts which she herself blogged about, I knew I could not put into words, what she had managed to do. 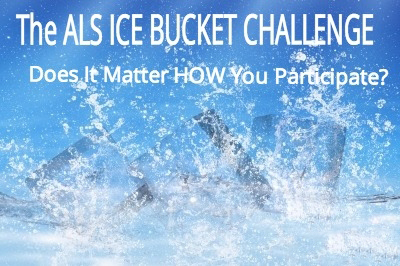 Well, we are on week two of the very-viral very-everywhere ALS ice bucket challenge. I know, I know, I can hear the groans…it started out cute and now it’s out-of-control. Played. Clogging up social media sites everywhere. I even read an article in which the author called the challenge (that has raised an unprecedented amount of money for one of the most outrageously underfunded diseases) a waste of fresh water. Another headline whined, “Is the Ice Bucket Challenge Going to Cure ALS?” Um, no (and – btw – that’s a stupid bar to set for any fundraiser.) Critics complain that the challenge is really about feeding our American narcissism and does nothing for ALS awareness or funding. They assert that people should just quietly donate their money and move on with their lives. I get that they’re cranky, but I think maybe they don’t realize what it’s like to face this insidious disease and then realize that it’s nearly invisible to the rest of the world. As I watch my husband become entombed inside his own body, I feel desperate for people to understand that this sort of inhumane condition exists. But for some reason, while everyone acknowledges it’s one of the worst fates imaginable, funding for research and patient care is nearly nil. I recently mentioned to a doctor that my husband has ALS and she first looked confused and then said, “Oh, that’s Lou Gehrig’s Disease, right?” Right. Why does she -a doctor of medicine – still only know it by Lou Gehrigs Disease? Because we humans need to associate things with people. It’s easier that way. That’s why the celebrity faces and personal challenges happening in the ice bucket challenge are so effective at bringing in money. And if someone gets to look good while plunking their $50 in the ALS tip jar, I have zero problem with that. Because here’s the deal: We are in for the fight of our lives with this monster, and the very LAST thing I want is for people to give quietly, anonymously, and then slink away. Raise the roof! Raise a ruckus! Call all sorts of attention to yourself! I will be happy for you and every Facebook like you receive, as you nudge ALS an inch or two closer to the collective public consciousness. So, fear not, dear reader, this too shall pass and your Facebook newsfeed will go back to cat videos and kids singing Let It Go. Until that happens, here’s a little reminder about what it’s like to live with ALS and why this level of awareness is like gold to families like mine.